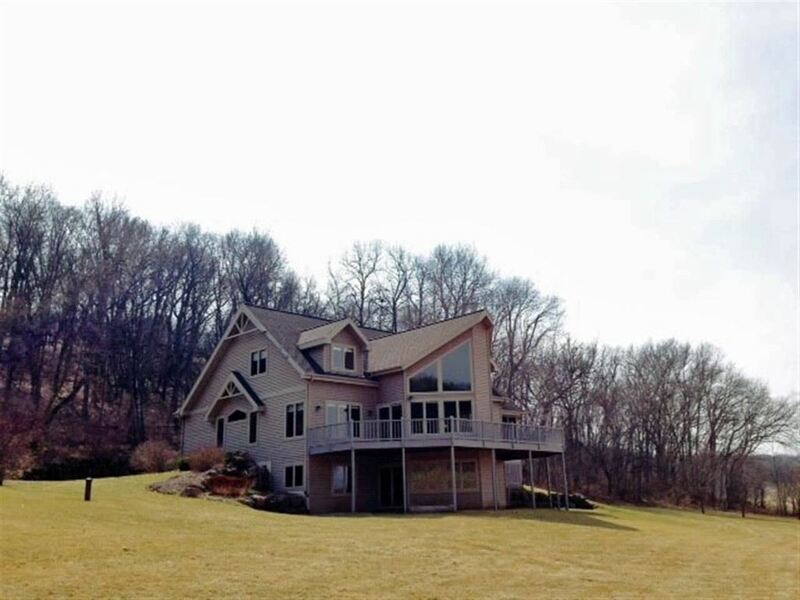 4850 Page Lane in Black Earth is a gorgeous home on nearly 17 rolling acres. Enjoy wooded hiking trails, prairie, amazing views, no visible neighbors or roads yet easy access to Hwy 14. Built in '05 with stunning 2 story living room, huge windows showcasing the land, main floor master bedroom, great layout with open kitchen, dining & screen porch area. Upgrades include wood & ceramic tile floors, granite counters, double sided gas fireplace, rec room with bar & wine cooler. New septic system & a/c in 2013. 15 acre invisible fence. 3 car garage. Home warranty included. 4 BR, 3.5 BA, 4,130 Sq.Ft.